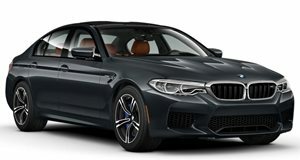 The BMW M5 ‘30 Jahre M5’ edition is not only the most powerful series production M5 ever built, it’s also the most powerful car in the entire history of the BMW M GmbH brand. It was created to celebrate the 30th anniversary of the M5 itself, so M cooked up something special for the occasion. The 4.4-liter twin-turbo V8 underwent an ECU revision, resulting in a power boost totaling about 600 hp and 516 lb-ft of torque. 0-62 mph happens in just 3.9 seconds and top speed is "limited" to 199 mph. Only 300 examples are being built, with just 30 set for the US. The price? $138,275 and that’s before the expected dealer markups. But still, the '30 Jahre M5' is something quite special, and now you can see it in action in this new video.